SAN FRANCISCO (CN) — Two of three judges on a Ninth Circuit panel Monday indicated they believe the federal government had the authority to release 355 million gallons of water from California’s Trinity Reservoir to prevent a salmon die-off, despite water districts’ claims to the contrary. San Luis & Delta-Mendota Water Authority and Westlands Water District sued the Department of the Interior and the Bureau of Reclamation in 2013 after the government ordered them to release the water to prevent a salmon die-off in the lower Klamath River, rather than deliver the water to cities and farmers during the state’s searing drought. The Trinity River is the largest tributary of the Klamath, which flows into the Pacific Ocean. Fish, including Chinook salmon, coho salmon and steelhead, use the Klamath and its tributaries to spawn and rear their young, the government said in its brief to the court. A federal judge ruled for the government in 2014. But the judge also held that the 1955 Act authorizing the Secretary of the Interior to build and operate dams and reservoir on the Trinity River was confined to the Trinity River Basin, so it did not permit the government to release the water outside of it. The appellate panel didn’t buy that assessment Monday. “I look at the statutory language and to me it says nothing like what the district court says it said,” Ninth Circuit Judge Alex Kozinski said. A massive die-off in the lower Klamath caused by an outbreak of infectious disease killed at least 34,000 fish, including at least 33,000 salmon in the summer of 2002. Hoping to prevent a repeat in 2013 after finding similar conditions in the river and its fish, the Bureau of Reclamation authorized the release of water from Trinity River dams. Scientists attributed the die-off to low water flow, among other factors, and said increasing water flow in the lower Klamath would minimize the chances of another die-off. “The 1955 Act broadly authorizes and directs the Secretary ‘to adopt appropriate measures to insure the preservation and propagation of fish and wildlife,’” the government said in its brief to the Ninth Circuit. Seeking reversal Monday, Department of Justice attorney Ellen Durkee told the appellate panel that contrary to the lower court’s finding, releasing water from the Trinity Reservoir falls within the 1955 Act’s provision authorizing the Secretary of the Interior to adopt measures to protect fish. “I think it’s telling that not a single party here defends that, because there is nothing in the statute which would provide for a geographic limit like that, and ordinarily a court doesn’t read in elements that aren’t there,” Durkee said. But water district attorney Daniel O’Hanlon said the 1992 Central Valley Project Improvement Act supersedes the 1955 Act on water releases. The Central Valley Project Improvement Act established permanent annual volume limits on releases, the water districts said in their brief to the court. 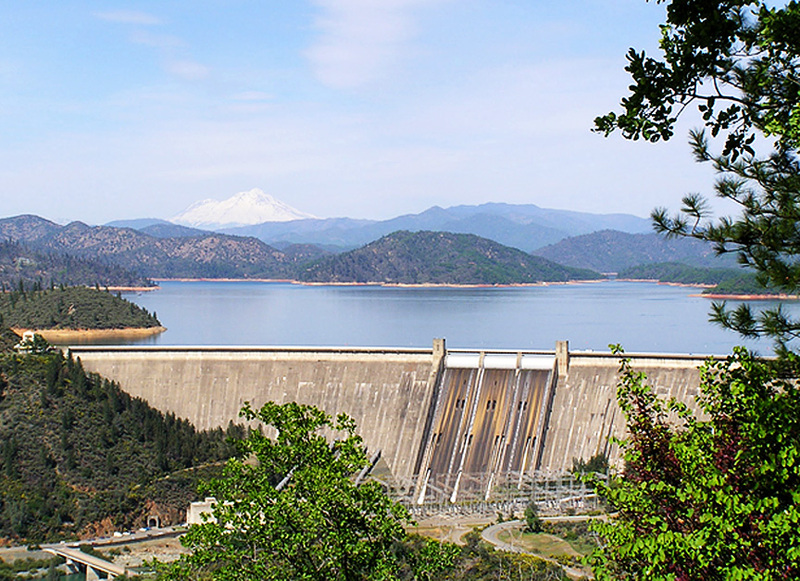 Pressed by Kosinski to explain how the 1955 Act prohibited the government from authorizing the 2013 releases, O’Hanlon said the Bureau of Reclamation released water far above natural flows to the Trinity River to compensate for low flows in the lower Klamath. Ninth Circuit Judge N. Randy Smith pointed out that the water districts’ argument in their brief, that the government can buy water for release, suggests the Secretary of the Interior has the obligation to release additional water to prevent a die-off. “If the option is available, they can release more. All you’re arguing is, they gotta go find it someplace else,” Smith told O’Hanlon. The Hoopa Valley and Yurok tribes are also appellants in the case. Their reservations sit on the banks of the Trinity and lower Klamath rivers, to which they have federally protected fishing rights. U.S. District Judge Sharon Gleason, sitting by designation from the District of Alaska, joined the panel. O’Hanlon is with Kronick, Moskovitz, Tiedemann & Girard in Sacramento.